Jonathan F. Beecher's accomplished study is both a lively life story of one of the most engaging figures among the French romantic intellectuals of the 1840s and a compelling chronicle of early French socialism. Victor Considerant (1808-1893), a follower of the great utopian thinker Charles Fourier, played an important role in the creation of a Fourierist movement and the development of socialist journalism. 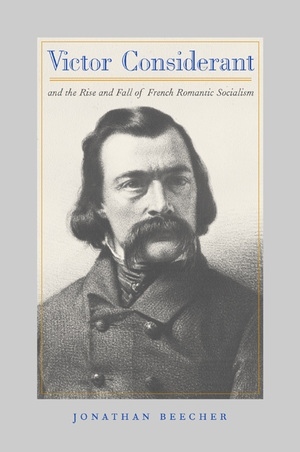 In the process of conveying a rich understanding of Considerant's life, Beecher traces the rise and fall of French romantic socialism and demonstrates how the utopian visions of thinkers such as Charles Fourier came to inspire a whole generation of young radicals and reformers not only in France but also in Dostoevky's Russia and in the America of Horace Greeley and Margaret Fuller. He paints a vivid portrait of a particularly important period of European intellectual history and gives his readers insight into the experience of a generation of thinkers and political activists. This comprehensive history will become the definitive work on Victor Considerant, and—along with Beecher's classic study of Fourier—a major contribution to the history of French socialism in the nineteenth century. Jonathan F. Beecher is Professor of History at the University of California, Santa Cruz. He is the author of Charles Fourier: The Visionary and His World (California, 1986) and The Utopian Vision of Charles Fourier: Selected Texts on Work, Love, and Passionate Attraction (1971).